Hampton Rovers’ Dillon Melnjak has been named this week’s Grill’d VAFA Rising Star nominee following recent standout performances in the Senior team. Dillon first played juniors for the Hampton Rovers in U9’s, back in 2006, he left after the season but then came back to football at the Rovers in U14’s in 2012. He played the 2017 season in the U19 team and coming back in from injury again this season via the U19’s but now recently having broken into the senior side is looking very much like that is where he belongs. 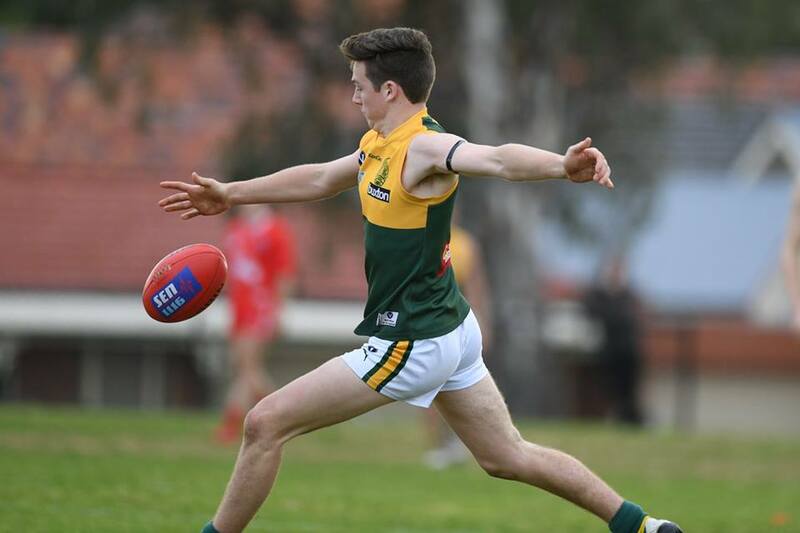 He is just 17 years of age and has played four senior games for the club, of which Saturday’s performance in the Rovers win over Preston Bullants was his best. Coach Anthony Quon said, “He was really good as an elusive wingman and was best-on-ground for us”. Dillon tries to model his game on Daniel Rioli and Scott Pendlebury. Dillon’s strengths as a footballer are his foot skills, his courage and determination. He never gives up and will work hard both ways. He is pretty quiet overall but known for his ability to pick up a contested ball and weave through traffic to dispose of the ball cleanly and accurately. Dillon is very happy to be playing alongside his brother Joel and to follow in the footsteps of his Dad Ed, and his Uncle’s Rob and Max in Rovers colours.